I have been doing a blog now for about a year and a bit. My views have been modest to say the least. I started out on the Blogger.com site and used them for about a year. Some of my posts got around sixty views and I was quite pleased. I then started doing posts on Tumblr and although I like the site well enough, I had no idea if anyone was even reading the bloody posts. 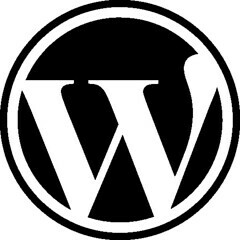 I then decided to use WordPress. Right off the bat my views shot through the roof. I was getting a minimum of 27 or 30 views. Again I was quite pleased with the result. My views were steadily rising and I was getting around 70 or 80 views a day. I felt like someone was finally reading my posts. Then I discovered Reddit. The first day that I joined, I linked about four of my posts to Reddit. My views went into the stratosphere. That first day my views reached 1,185. I was delirious with excitement, the next day was even better. I finished with 1,436. I was massively impressed with the coverage that Reddit had given my little site. On the third day, my views dropped to 729 and the next day they dropped even further. I am not sure what happened there. I have looked over the posts that I linked to Reddit and I cannot really find anything about the posts that garnered that sort of response. Still regardless of how or even why I got that many views doesn’t really matter. For a very short time there, I felt that my blog was seriously growing. 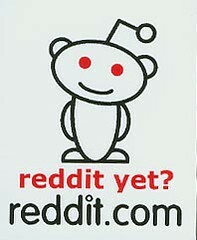 Obviously the “honeymoon” period with Reddit is over. I still link my new posts to the site and it is still generating views, but I’d be lying if I said I don’t miss the huge number of views that my little blog got those first two days. Don’t get me wrong, I am happy if only one person reads my posts. I do write them primarily for my own enjoyment and if someone else gets pleasure from them, I feel like I’ve accomplished something. Of course the other benefit of writing a blog is getting the chance to read other blogs and to comment on them. There are a lot of talented folks out there who are mighty handy with a pen (or a laptop). So I’ll keep on writing my three or four posts a day and hope that folks still enjoy reading them. Hi, thanks for linking back to my post! I’ve had more or less the same experience and I have no idea how it all works. What I do know is that getting your post urls out there really does something great for your views. Keep up the good work! Hey it was not a problem at all. Thank you for taking the time to leave a comment. Oh and thanks for the supportive words, it really is appreciated.